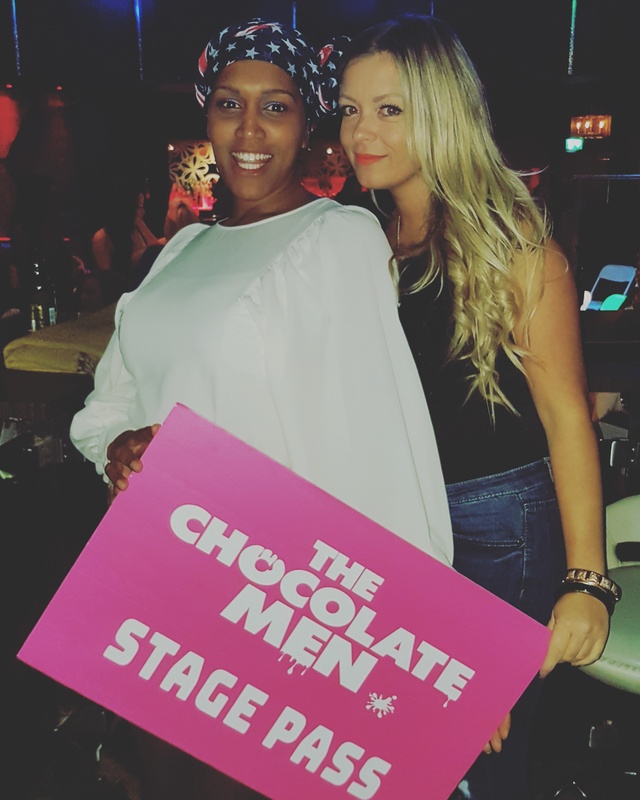 To celebrate two of my friends birthdays they chose to go into town to see a touring male strip show called The Chocolate Men. 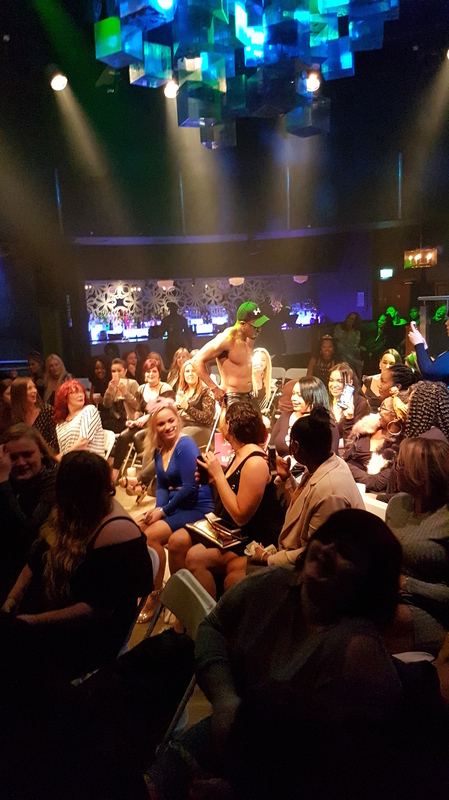 I’ve never seen a male strip show before except for the film Magic Mike oh and Chocolate city so I had high expectations. I was thinking Diversity with less clothes. It’s a Wednesday night so I didn’t want to get too dressed up (not that my dressy clothes fit at the moment) but still wanted to look presentable. I opted for a flowy top with a thick skirt and tights (which I will be thankful for later in the night). I couldn’t find my comb so wrapped my hair and stuck a bit of make up on my face to hide the eternally exhausted look from my face. After leaving the baby with my partner I rushed off to meet the girls on time. As I walked up to the venue I could hear my friends loud mouth before I could see her, shouting about how cold she was although she wasn’t wearing a coat (She cracks me up). The venue the show was being held at was a night club called Unit 17 a night club that back in the day saw me at my worst when it named liquid. I have so many cringy memories of being there and embarrassing myself but I do have some funny ones too. We walked up the stairs then through the double doors to the main room there were chairs on the dancefloor facing the stage. There were people sat all around the room but we all stood next to the stage (the best view). The DJ called for all birthday girls to come up to the stage to receive headbands and stage passes to put up throughout the night so that they can get taken on stage and humiliated, I mean danced with. The atmosphere felt rather tame I think a lot of the women were scared. I know some of my girls were. Once the first guy came out he settled us in for a night of grinding and hip swaying and much more. The music was on point a good mix of current tunes and 90s RnB. I was driving but didn’t let being sober come between me and a good night it never usually does. I danced even if at times it felt like I was the only one. When the second stripper came out they asked who’s birthday it was and I shouted out and pointed to my girls. The stripper came over but they wouldn’t budge so he grabbed me and tool me to the stage (That’ll teach me and big mouth). Damn it! What was I in for? Please don’t thrust your junk in my face was all I could think of. He sat me down on a chair then pushed my legs open (So glad I was wearing tight, thick ones too) then straddled me and the rest is a blur all I know is I just went with it. Luckily I got it easy compared to some of the others that went on stage. One girl I’m sure when she wakes up tomorrow her hips are going to be in bits because the guy took a run up and landed on her with such forces her future greatgrand children can feel it. It was a good night and the guys did have great bodies, could dance and their faces weren’t too shabby either. They did well selling an illusion. The only thing that the show needed was a filler guy someone to keep the crowds interests inbetween acts and keep everyone hyped. 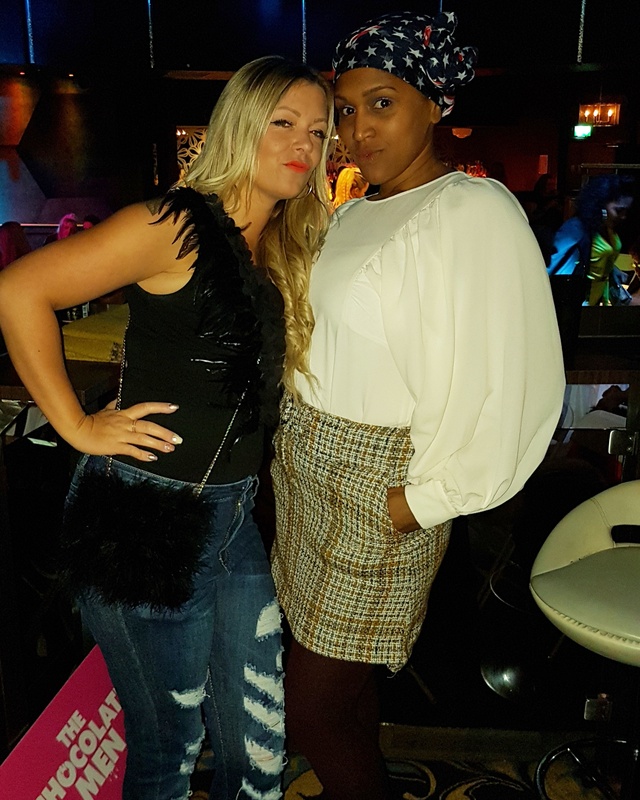 I enjoyed my night out I can’t remember the last time I went out with these girls. Even though it has been a long long time I’m still known as the wild one. This is because I like to make the most out of a night out as I don’t know when I’ll next be out.